Homebuyers in North Yorkshire are turning to an initiative to help them step up or on the property ladder in ever-increasing numbers. 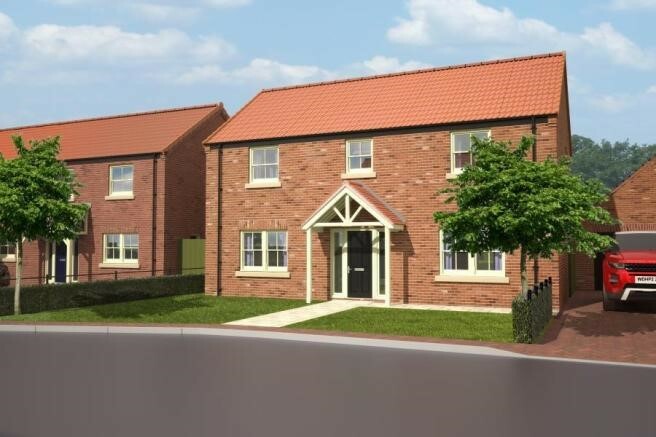 Within three months of their launch to market, no fewer than seven of the 14 new-build homes in at Farefield Close in Dalton, near Thirsk, have already been sold. The North Yorkshire developer behind the flagship multi-million pound scheme, Whitfield Homes, said the sales success of this latest release had been buoyed by the county’s continuing appetite for the Government’s Help to Buy initiative. “The first stage of Farefield Close resulted in more than £1m of properties bought through Help to Buy – a milestone for us,” said managing director, Chris Patmore. “And it is one that has helped to propel North Yorkshire to be among the UK’s hotspots for take-up of this support. He added: “Since unveiling the next stage of the design-led development at a launch to the local community at the Angel Inn at Topcliffe in July, there has been sustained interest among housebuyers. The remaining two, three, four and five bedroom homes are for sale from as little as £168,000, ranging upwards to £475,000. They are being marketed through joint agents Linley & Simpson in Ripon, and James Winn in Thirsk. All are available with the Government’s Help to Buy initiative, which only requires a five per cent deposit. It offers homebuyers a 20 per cent equity loan from the Government which is interest-free for five years. David Waddington, Head of New Homes at Linley & Simpson, said: “It’s often overlooked that Help to Buy is not just for first-time buyers – it opens the doors to established homeowners too who have since sold their own properties. “Several of these hand-crafted properties were reserved immediately after the launch of this new phase, which features a range of house types to appeal to different needs and pockets.